I interviewed students and teachers about their feelings and opinions on school safety and how it can be improved to make students feel safer at school. Two students mentioned they felt unsafe in the media center because of all the glass, and two students said they would fee more secure in school if there were better entrances/exits. A student who wished to stay anonymous said they encountered a door that was unlocked on a weekend which allowed them to enter the school. It was mentioned that in certain classrooms some students may be at a higher risk of being left behind. It was also mentioned that students may not feel safe in school because of discrimination and bullying rather than the threat of an intruder. However, a lot of students are concerned with the idea of someone intruding. 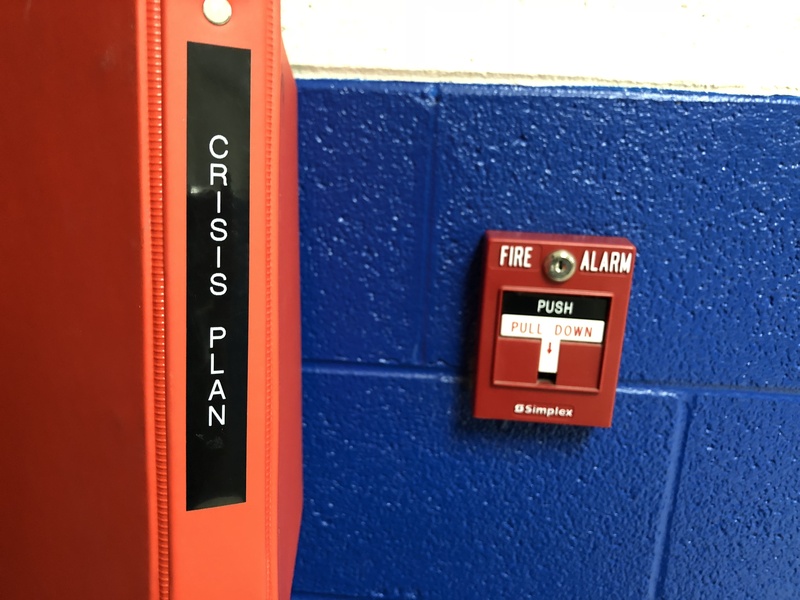 Teachers and staff go through an active shooter training every year and are provided with a “Crisis Notebook” which includes all information necessary in the event of a crisis. During the interviews, teachers were asked what improvements they thought the school could make. In response to the question, Mrs. Bennett said the safety committee was trying to obtain a motorized vehicle, such as a golf cart, that would be used to help evacuated students or staff that have a condition that would slow them down. She also said they were trying to find an efficient way to quickly secure all classroom doors. Mrs. McClung included that were very lucky to have the school officer on campus to help prevent unwanted incidents. The teachers I interviewed said they felt prepared, but a teacher also mentioned that training for any crisis from experts that would be extremely beneficial. All teachers said they thought at least some students felt safe in their environments. One teacher even said that some students may feel safer at school rather than at home. Two teachers said shootings did cross their mind, but another said they did not. However, they all said they felt safe at NCHS. During my interviews, it was evident that this is a safer school than most. One teacher believed we had a very great work/learning community, which is a major contribution in keeping the students and staff safe.